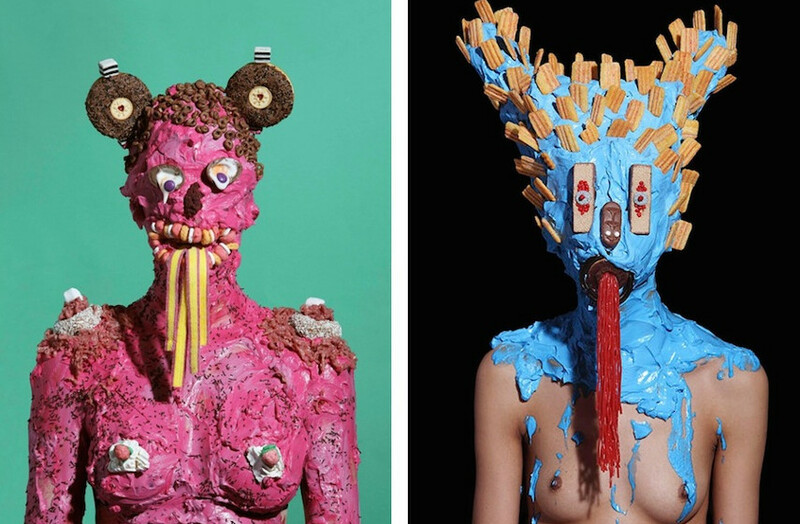 The unhealthy relationship with food, portrayed in photographs of human sculptures, illustrate both the individual and global struggle with healthy diet and healthy lifestyle. 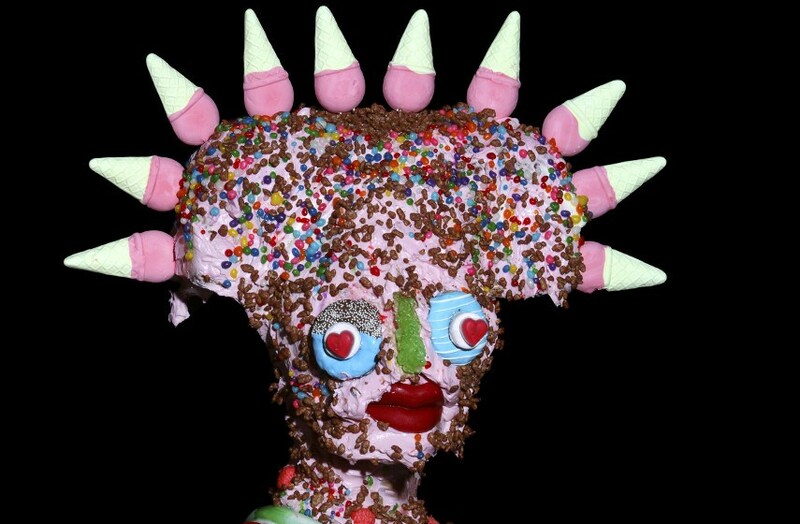 James Ostrer declares himself as a sugar addict and through his art he wanted to break this addiction. When we see food piled on in layers on top of the human skin, we don’t feel the sugar cravings. The emotion is located in our stomachs, though, but instead of increased appetite, the emotion we have to digest is a combination of disgust and distress. Ostrer exposes the dark side of our consumer culture and our obsession with pre-packed, ready-to-eat mood boosters. The photographer uses his art as a form of self-help therapy. Events that occurred early in his childhood lead to the bad habit of eating his emotions. The exhibition from 2014, Wotsit All About is really about modern tribes where ethnicity comes from you are what you eat principle. After graduating from art school, Ostrer spent 7 years as a scenic artist for the English national ballet. He used to paint but after an accident, he exchanged white canvas for a human one. 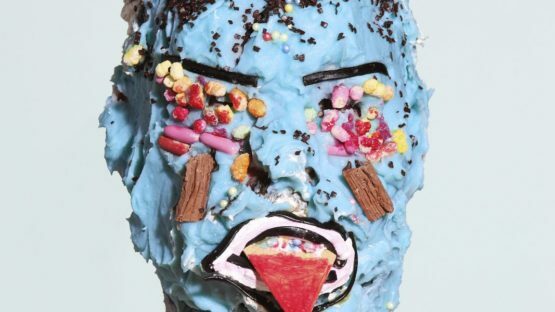 He smeared layers of ice cream, chocolate, burgers, fries and ketchup on his models. This way, he wanted to expose the real nature of modern eating habits. The instinct to eat is primitive and we need food in order to survive. The instinct to compulsively eat sugary and fattening foods opposes the survival instinct and the wish to stay fit and healthy. His organic and synthetic human food sculptures last as long as the sugar rush. Photographs are the perfect medium for this type of art. There is a special effort that needs to be put for eating clean and healthy, whereas confectionary food can just be bought at the supermarket in its shiny and bright packaging. Metaphorically, the artist feels similar when it comes to dealing with feelings. Solutions to out problems cannot be found on the supermarket shelves, they need to come from the inside. His photographs are both sweet and scary, both cartoonish and grotesque. 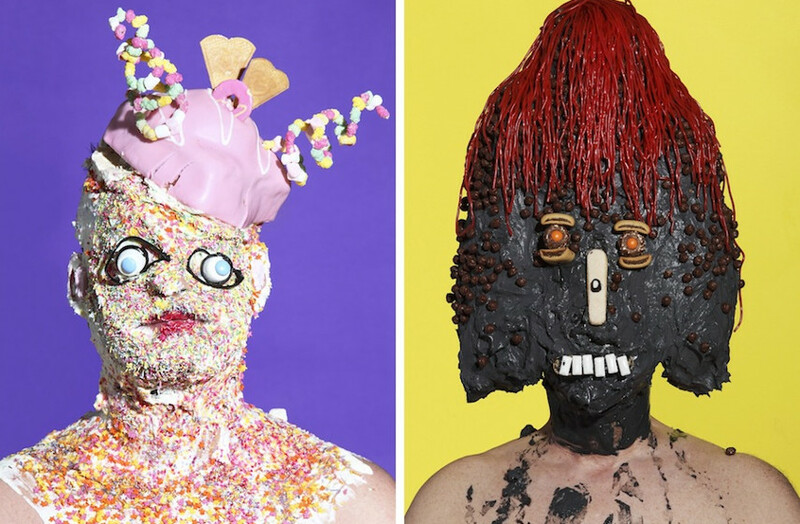 This visual representation of junk food obsession provokes mixed feelings towards eating habits, and the artist welcomes this kind of response from the audience. The main idea behind Ostrer’s work is the absurdity of the vicious circle of sugar consumption. We feel down, so we eat sugar to feel better, but then we feel even worse and get down again. Food is for eating, and emotions are for feeling. The artist often uses opposed emotions to express the everyday struggle one has to overcome. In his previous works like the exhibition from 2013, The Romance of perfection, he portrayed beauty and pain, grace and struggle of a ballet dancer. Both polarities constitute the work of an artist and both are equally crucial. Ostrer’s spiritual alter ego – Guru Jimmy did a collaboration with Absolut and created two marvelous site-specific bars at Art Central and ZUMA bar in Hong Kong. Jimmy honored his technicolor palette and his sweet tooth, among the other things, so he participated in creating the food menu, with sushi, and colorful drink. The installation has everything one might need in order to experience real transcendental and spiritual journey. There are colorful beanbags, rugs, and chairs where you can enjoy masterpieces of mixology that Jimmy designed. 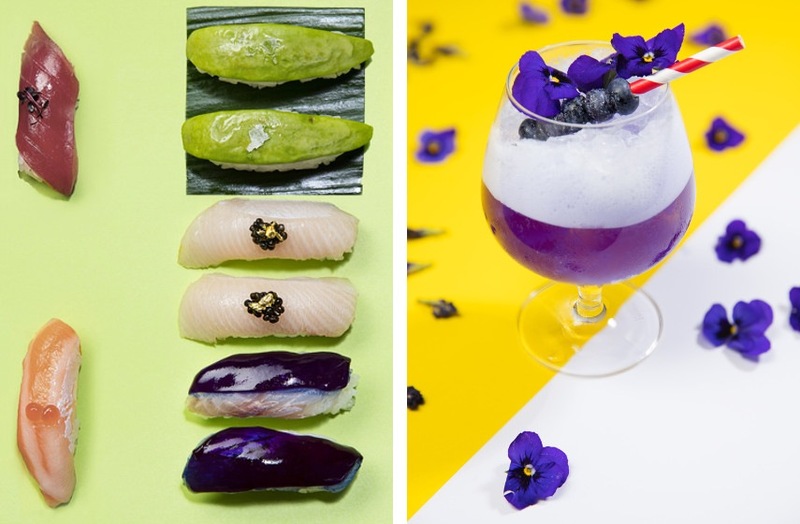 The cocktail drinks are served in seven different colors, and the flavors vary from ginger, kiwi, and violet blossom and they all represent a virtue one can achieve spiritually. The artist is represented by Gazelli Art House in London, UK. James Ostrer lives and works in London, UK.